Phoenix, AZ (August 10, 2016) — Today, Purple Platypus, along with its partner Purple Porcupine, announced the company’s expansion into Phoenix, Arizona with a new sales office and showroom. As the leading and most influential 3D printing distributor and service provider in the Southwest, Purple Platypus and Purple Porcupine are thrilled to expand its physical presence into the Phoenix metropolitan area to meet the demand of its current customer base and new business. 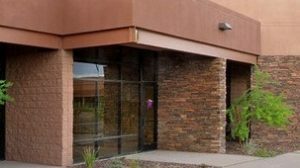 The office is located at 2330 W Parkside Ln, Phoenix, AZ 85027, just 25 minutes north of Phoenix International Airport. The new showroom will be a major asset to companies located across the Southwest. Business partners and clients can easily visit the showroom for a meeting or scheduled event, or to pick up part orders with hassle-free parking. And, of course, visitors will be greeted with the same Purple passion, diversity, and customer centric office culture as you would experience at the Irvine headquarters. Along with the expansion into a Phoenix office and showroom, Purple has added RTV tooling and urethane casting for end-use parts to their current product and service offering. From concept to production, combined with a team of highly skilled designers and engineers, Purple Platypus and Purple Porcupine will continue to provide superior customer service, high quality workmanship, and state-of-the-art technologies to propel products to market quickly, and more efficiently. To check out the new Phoenix office, register to attend their upcoming open house event, or contact us to schedule an appointment.